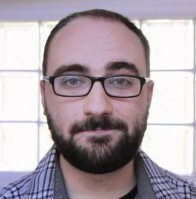 Michael Stevens created Vsauce1 in 2010 as a channel focused on video game comedy content, and it later evolved to focus on his passion for science and puzzling questions like, “Why Are Things Creepy?” and “What If You Were Born In Space?”. Michael believes a silly or mundane topic can easily become mind-blowing if you take the time to look closer, research and let your curiosity run wild. In asking the right questions – however seemingly weird – you can make anything a profoundly effective lesson. Michael is based in London, where he writes, hosts and edits videos to make sure each episode feeds your hunger for cool and interesting facts and ideas. His partner channels – Vsauce2 and Vsauce3 – are run by Kevin Lieber and Jake Roper. The network of Vsauce channels are the most popular science and education channels on YouTube, with over 13 million subscribers and 1+ billion views, collectively.